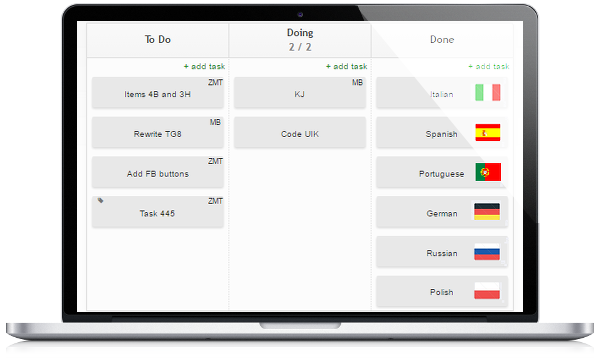 Good news: In response to growing multinational interest in Kanban Tool, the service is now available in no less than 7 languages! Spanish, Portuguese, Italian, German, Russian and Polish. To use your language while working in Kanban Tool, just switch in My Profile - Edit my details - Language, or make a change on your domain login page (the country icon in the top right corner).